Whatever your budget Suffolk has something to offer. If you prefer the convenience of a Hotel to a B&B then Budget Hotels are the answer. Travelling on a budget often means treading a fine line between cost, comfort and convenience, but here in Suffolk you can have it all! The Days Inn Haverhill is a modern, purpose built Hotel in Haverhill, well positioned for Newmarket, Cambridge and Bury St Edmunds. You can choose from a variety of rooms including Kingsize rooms, family suites and work zone double rooms. The continental breakfast is included in your room rate and you will find a Harvester restaurant right next door to the hotel. Book now! For an up-do-date guide to hot deals from hotels in Suffolk, please click on the link and bag yourself a bargain! 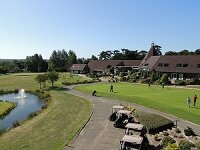 We also have several Best Western Hotels in Suffolk too and these can offer value accommodation, with prices starting from £59pppn. For example, the Best Western Claydon Country House is very well positioned just north of Ipswich close to the A14 making it a great base to access both Ipswich and Bury St Edmunds. Modern accommodation & great TripAdvisor reviews - what more could you want? Check them out by clicking on the link above. In Bury St Edmunds, possibly Suffolk's prettiest town, The Black Boy pub offers value accommodation close to the town centre. 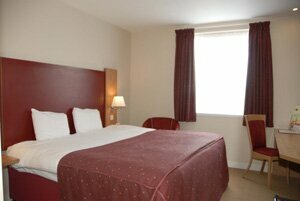 New, en-suite accommodation comprises 3 twin rooms and 2 single rooms. All rooms have been practically designed to a high standard with modern and contemporary furniture and fittings, and include remote controlled colour televisions. For a friendly welcome, great food and good value B&B check out the Black Boy Bury St Edmunds now! So whether or not you are travelling on business or on a family holiday, or just coming to Suffolk for weekend, Budget Hotels in Suffolk have all you need. And remember, hotels often offer special discount rates online so click through to their website from the Hotels Guide to check out availability and make that low-cost booking. What's the best budget hotel you've stayed at in Suffolk? Please send your review to suffolkguides.admin@suffolktouristguide.com.